MyGov.in Latest News 2019: Check Modi Ji Mygov.in 2019 competition online Today Mgov portal Recruitment 2019 as Get here all new notices on MYGOV Job competition Govt portal at https://quiz.mygov.in/. As PM Narendra Modi has started web portal www.mygov.nic.in or www.mygov.in on completion of 60 days of Government. This portal is made to help Indian People to contribute in Governance by giving their advice, thoughts and idea that concern for India. Here on MYGOV domain the people can join discussion that is interest for India and common man. For example you can give opinion and ideas on Ganga Clean, Infra development, boost girl child education, Skill development, Corruption, Repo Rate, Education field, Sarkari Naukri, creative engagement with government departments etc. The complete detailed information of www.mygov.nic.in or MYGOV Portal regarding tagline, competition winners, results, contests, logo and suggestions etc is mentioned below…………………..
Alerts: Mygov.in Name and Mascot Design Competition for Mumbai-Ahmedabad High Speed Rail. National High-Speed Rail Corporation Ltd (NHSRCL) is a joint venture between Govt. of India (through ministry of railways) and participating state governments (Gujarat & Maharashtra). NHSRCL is mandated to build India’s first high speed rail (commonly known as Bullet Train) between Mumbai & Ahmedabad. The last date of submission is 25th March, 2019. "Yoga is an invaluable gift of India's ancient tradition. It embodies unity of mind and body; thought and action; restraint and fulfilment; harmony between man and nature; a holistic approach to health and well-being. 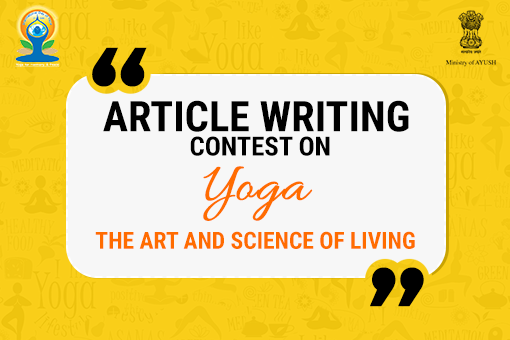 It is not about exercise but to discover the sense of oneness with yourself, the world and the nature”.Therefore, in view of forthcoming International Day of Yoga 2018, Ministry of AYUSH is conducting Article Writing Contest on the theme – ‘Yoga- The Art and Science of Living’. " Earlier Design an INSIGNIA for Indian National Defence University. Last date of entry submission is 28 February 2015. Also design a Logo for 10th World Hindi Conference. Last date of submission is 20 March 2015. Create a Tagline and Logo for MADAD, a good governance initiative of Govt of India. Last date of submission of entries is 13 February 2015. MyGov.in - Digital Locker Launches Today: Digital Locker national launch started on 01 July 2015 by the Hon. Prime Minister Narendra Modi ji. Digital Locker is a key initiative under Digital India program and gives facility to store physical documents in electronic format and sharing across agencies. You can login by using Aadhaar number. MyGov.in - PM's Mann ki Baat with Farmers: Prime Minister (PM) Sh. Narendra Modi shared his ‘Mann Ki Baat’ with the farmers of India on 22nd March 2015 at 11.00 am onwards. He requested farmers across India to write to him and send letters to ‘Mann Ki Baat, Akashvani, Sansad Marg, Delhi – 110001’ and ask the Prime Minister their question directly during the episode. MyGov also gives you all this wonderful opportunity to contribute through ideas and inputs for the ‘Mann Ki Baat’ episode with India’s hardworking farmers. Till date approx 4800 suggestions are received. MyGov.in - Crowd Sources Ideas for Proposed Career Centres: Friends share your ideas on career centres as Ministry of Labour and Employment is implementing the National Career Service (NCS) as a Mission Mode Project for establishing a network of Career Centres offers variety of employment related services. Most suitable and innovative entry will awarded by cash prize and submit your entries at mygov.in portal on or before 20 March 2015.